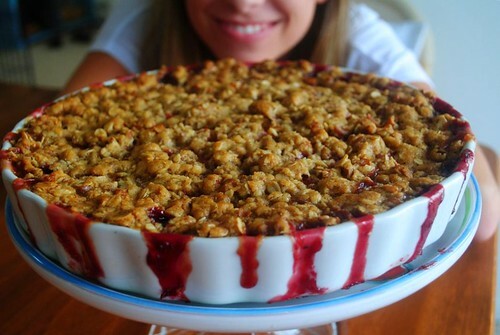 Although I did a tiny bit of cooking in France, I have been itching to get back in the kitchen. Although it was kind of nice to have a break (and I now have enough cooking inspiration to last me a lifetime), I've barely left the kitchen in the past week - yielding too many crumbles, crisps, cookies, and bars to count. 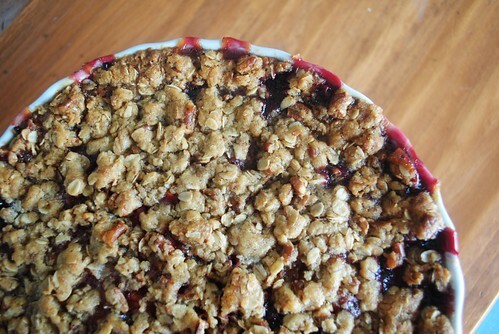 One of my favorites has been this peach and blackberry crisp; in part because of how it unexpectedly oozed over the sides in shades of purple and pink, but mostly because it tasted so stinking good. I made up the recipe myself, which is risky (and often results in failure) but that much more satisfying when it turns out perfectly. 2. 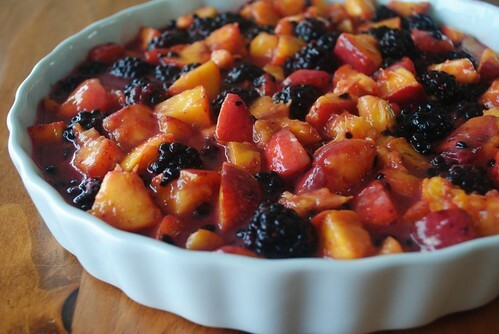 Combine all ingredients for fruit mixture. 3. In a separate bowl, combine all ingredients for topping, adding the butter in last with a fork or your hands (I always use my hands, it's easier). 4. 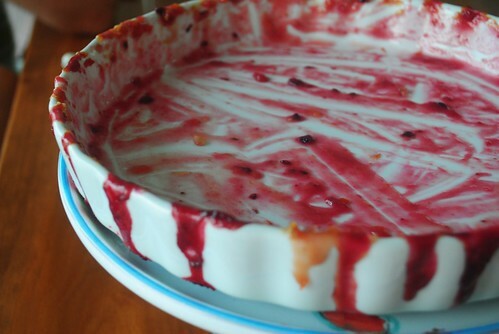 Pour the fruit mixture into a baking dish, spread the topping on, and bake for about 45 minutes.